General Motors’ smattering of midsize crossover offerings has seen a lot of action of late, first with the launch of an all-new Chevrolet Traverse in 2017, for the 2018 model year, and later with the unveiling of the new Chevy Blazer, which is slated to go on sale early next year. Being as young as it is, the Chevy Traverse is, predictably, staying more-or-less unchanged as it rolls into the 2019 model year, but there is one notable addition to the lineup: an upscale LT Premium Package. 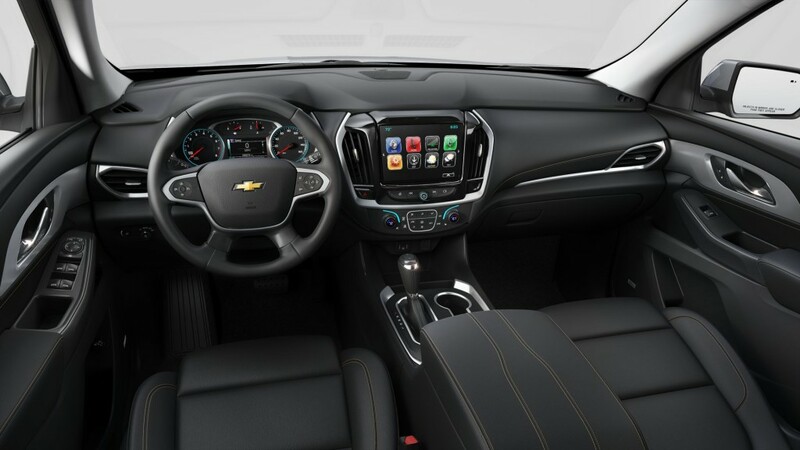 The 2019 Chevy Traverse LT Premium Pack retains the standard 8-inch infotainment touchscreen included with the LT trim, but upgrades the software with Chevrolet Infotainment, including satellite navigation (RPO code IO6). Premium ten-speaker audio from Bose (RPO: UQA) is included, along with a Rear Camera Mirror (DRZ) and GM’s Surround Vision 360-degree video system (UVH), which provides drivers a bird-eye view of the vehicle and its surroundings as demanded for low-speed maneuvering. In addition, a 120-volt AC power outlet (KI6) – the sort found in homes all across America – is included, and the 2LT (a.k.a. “RS”) and 3LT (“LT Leather”) models are graced with their own individual wheel designs. On RS, that conjures a set of 20-inch Dark Android-painted alloy wheels (SS9), and on LT Leather, a set of machined-face alloys with Technical Gray-painted pockets (SP6). 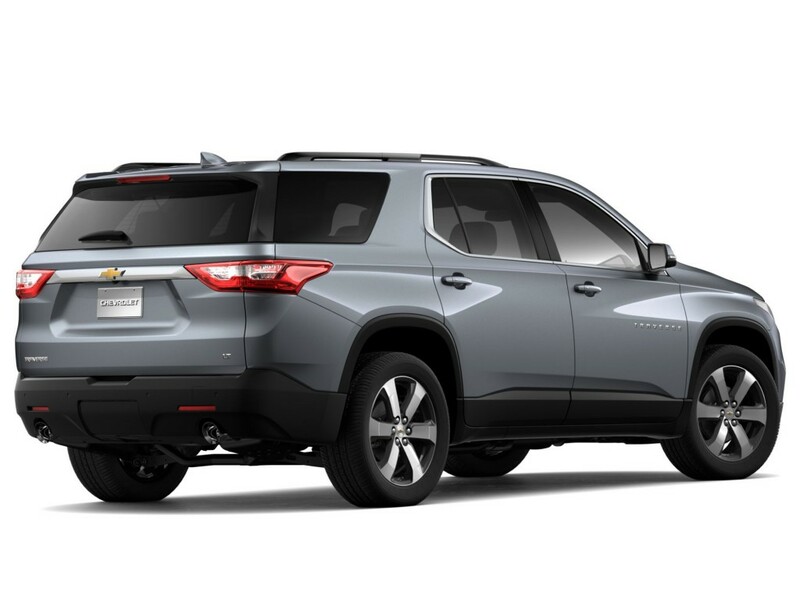 The LT Premium Package, which has been given RPO code “CXH”, comes standard on the 2019 Chevy Traverse RS (2LT), whether front- or all-wheel-drive, and is available as an individual options package on the Traverse LT Leather (3LT) FWD/AWD – just not with the Base 3LT Leather Package (RPO: W40). The Premium Pack isn’t available at all on the 2019 Chevy Traverse LT Cloth (1LT), but the take rate with that comparatively low-priced model likely wouldn’t have been all that great anyway. As a standalone options package on the 2019 Chevy Traverse LT Leather, the LT Premium Package adds $3,095 to the sticker price, elevating the base MSRP incl. destination from $40,195 to $43,290. Opting for all-wheel drive adds another $2,000, for a base MSRP of $45,290. On the RS, which for 2019 includes the LT Premium Package as standard, the minimum MSRP with destination stands at $44,095 with a front-wheel drivetrain, and $46,695 with AWD. For all the latest Chevy Traverse news, keep it tuned right here to GMAuthority.com. Aaron Brzozowski is a writer and motoring enthusiast from Detroit with an affinity for ’80s German steel. He is not active on the Twitter these days, but you may send him a courier pigeon.